Probiotics are microscopic organisms not visible to the naked eye, yet they do extraordinary work in the body. These microorganisms are “healthy” bacteria that live in your gut. They are constantly at work to fight the bad bacteria and promote a healthy balance in the gut. Your digestive tract relies on probiotics to reduce illness and disease. There are many different types of probiotics that are helpful for many health conditions. Not to overwhelm you, but there are billions of strains of probiotics. When you are searching for a good probiotic – keep this in mind! Antibiotics are great in many ways. In fact, sometimes they are absolutely necessary. However, antibiotics do a number on you digestive health. They not only kill off the bad in your gut – but they kill off the good too. That is why adding a probiotic to your regimen is very important while you are taking – and after you take antibiotics. Probiotics can be very helpful when treating people with irritable bowel syndrome. Since probiotics regulate the gut bacteria, they have been shown to be beneficial for both IBS-C and IBS-D. Managing IBS can be a lot easier with the help of a good probiotic. It is amazing how much research is discovering just how important a healthy gut is to our entire body’s health. Probiotics are essential for maintaining good intestinal flora, which means a good immune system. Probiotics can do great things for those that regularly suffer from urinary tract infections. Since probiotics fight bad bacteria from the gut, they also can fight bad bacteria in the urinary tract. Keeping a healthy urinary tract is important to avoid getting infections. Studies have show that there is a link between hut health, mood and mental health. By now we know probiotics maintain good gut health. In the longer term, this can have an impact on anxiety, depression, memory and more. NOW, a family-owned company since 1968 is a trusted name in the health products realm. They have over 1400 products, most of which are non-GMO! From dietary supplements, health and beauty products, essential oils, foods and probiotics! I really like the NOW Women’s Probiotic that is specially formulated for women’s health. The strains in this probiotic are shown to help support healthy immune system function in pregnant, nursing women, women of all ages. The NOW Women’s Probiotic 20 Billion is vegetarian, vegan, and gluten free. The Women’s Probiotic 20 Billion is available to purchase at natural health food stores nationwide and at amazon.com. Visit Now Foods for the full list of locations. Do you use probiotics in your diet? 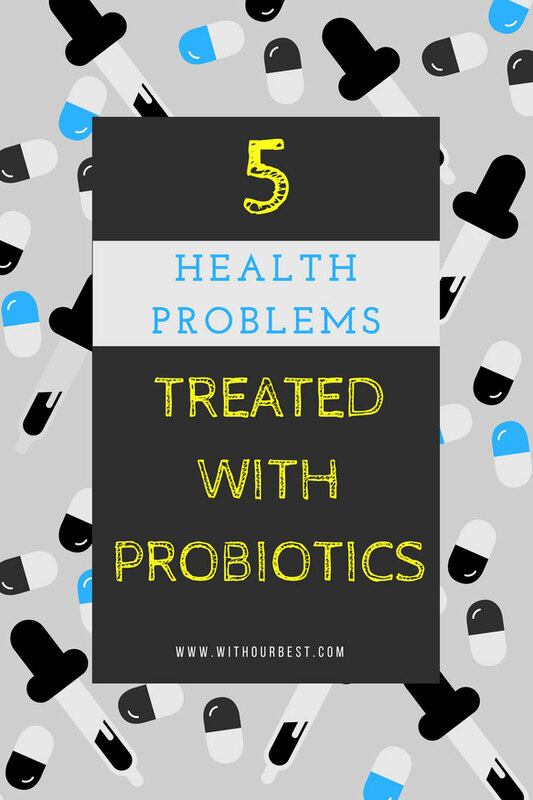 Probiotics are fantastic for treating all sorts of issues. They work fantastically for yeast infections when it seems like nothing else will work. I take probiotics regularly, but I haven’t tried this brand, yet. It’s great for tummy troubles. 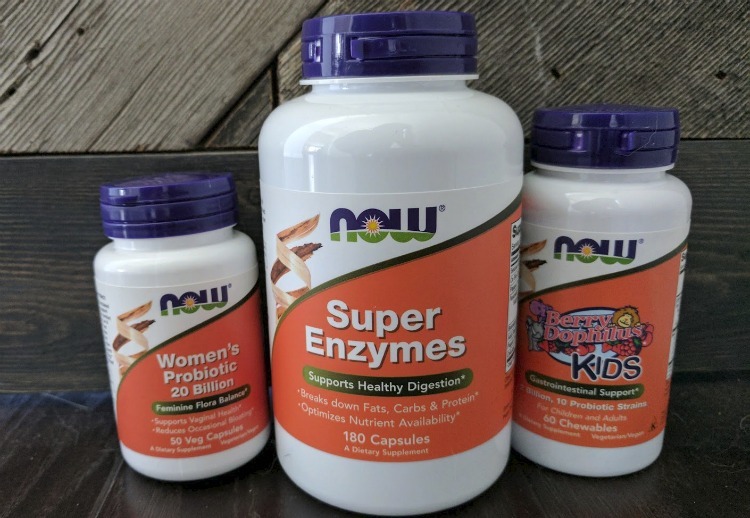 I love Now probiotic products – this is one of my most favorite supplement brands! I have just posted on IG about probiotics today – we use them a lot, they are so important for digestion.